Nearly Zero Energy Buildings – what are they? Nearly zero energy buildings (NZEB) are on their way. The Building Regulations (Amendment) Regulations 2017 which were enacted in January 2017 provide for the implementation of an EU directive concerning the energy efficiency of buildings. The new regulations define a NZEB as a building that has a very high energy performance where the nearly zero or very low amount of energy required should be covered to a very significant extent by energy from renewable sources, including energy from renewable sources produced on-site or nearby. The Minister for Housing has also commenced a review of the energy efficiency which will include a review of Part L of the Building Regulations which will ultimately lead to setting a new energy efficiency requirement for non-residential buildings. It is intended to have all new buildings be NZEBs by 31 December 2020 and to have all new buildings owned by public authorities reach the NZEB standard by 31 December 2018. It’s clear NZEB will be part of the construction industry’s vocabulary from now on. What will this introduction mean for the industry and for the end user? The obvious answer is that the new requirements will yet again increase construction costs. The concept of energy efficient homes and buildings is not new. Passive housing has begun in some developments here. The industry has been constructing non-residential buildings to achieve LEED and BREEAM standards in recent years and are experienced in designing and budgeting costs to achieve these high standards of sustainability. Surely to stretch to NZEB will not be a bridge too far with proper planning. 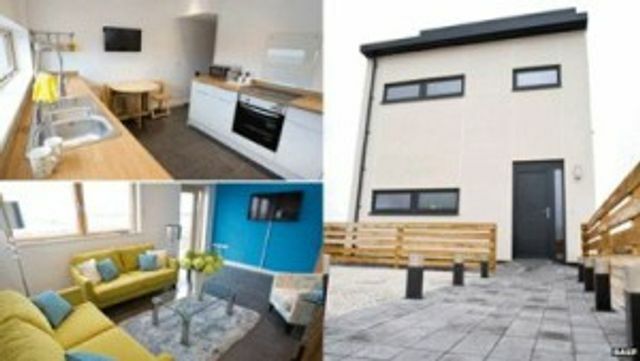 Designers in the UK managed to build a zero carbon house in 16 weeks at a construction cost which is similar to build costs to qualify for social housing in the UK. The use of technology, innovation and design can all assist in achieving passive housing and NZEB at minimal cost. There has been concern expressed that the introduction of NZEB is creating a set of building regulations that is incomprehensible to most professionals and that the energy efficiency values (U values) are conceptually calculated against a house from 2005 which furthermore do not take account for the fact that it is the human occupier who determines how much energy they use within their homes, no matter who well insulated. There are concerns that insulation standards will lead to mould infested and damp homes as the walls will not have the necessary ventilation to breathe. All these matters are very important concerns which deserve consideration. Many informed commentators and “green industry” advocates in Ireland have noted that increased performance standards, such as the passive house standard or near zero energy standard (NZEB), if carefully considered, can be achieved at minimal extra capital cost.